Sydney Harbour Bridge is a very big bridge that goes across Sydney Harbour in Australia. The bridge has been open since 1932. 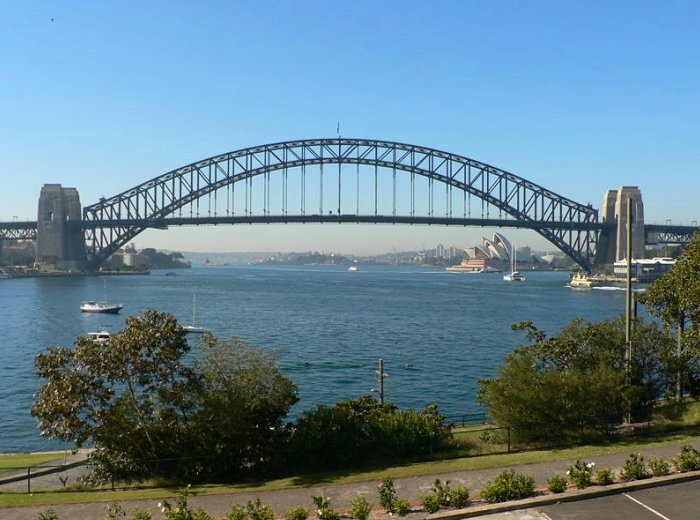 Guinness world records say that Sydney Harbour Bridge is the world’s widest long- to Span Bridge. The bridge is the fifth longest spanning-arch in the world; it has the tallest steel arch bridge, measuring 134 meters (440ft) from top to water level. Until 1967 the harbour bridge was Sydney’s tallest structure. The bridge was designed and built by English firm Dorman Long and co Ltd. The bridge has a built on train track. The bridge can carry trains, bicycles, pedestrians and motor vehicles, which is a lot for one bridge! On Monday 7th November 2011 daybreak said that next year the bridge would have its 80th anniversary in 2012! When I was listening to the radio before school today, I found out that the Two Minute Silence we keep on 11th November at 11.00 am was the idea of an Australian called Edward George Honey. He was a soldier and a journalist and he wrote to the London Evening News on 8th May 1919 suggesting that everybody stopped what they were doing and kept silent as a fitting way of remembering those who died. When the First World War ended there had been lots of celebrations and dancing in the streets. 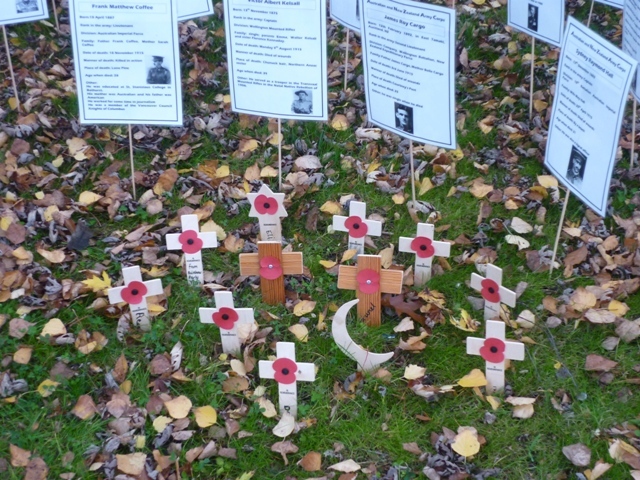 Honey thought that keeping silent for a short while would be better as people could think about the people who gave their lives. King George V heard about the idea and decided that two minutes of silence would be kept every year on 11th November at 11.00 am. Edward Honey’s original idea was that everyone should be silent for five minutes. Australians also have two minutes of silence on 11th November. In our class we were preparing for the Remembrance Day assembly. As it is Australia Year we wanted to find out about Australian connections with the war. We researched Lieutenant Holbrook- as this is the name of our school and our partner school in NSW. Norman Holbrook was born on the 9th July 1888, in Southsea, Hampshire. He was educated at Portsmouth Grammar School. 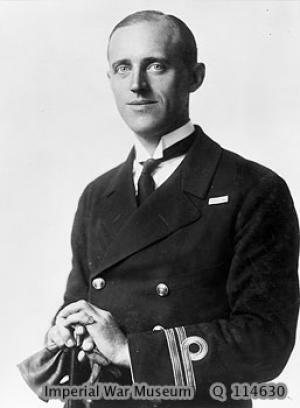 He was a lieutenant, in the Royal Navy during the First World War and served on board HMS Britannia. Lieutenant Holbrook was in command of a submarine when it sank a Turkish battleship. On 13th December 1914, he performed a deed which showed he was very brave and was awarded the Victoria Cross. His submarine dived under five rows of mines and stayed under the water for over 9 hours. His submarine was very old. To honour his bravery a town and area of Australia were named after him. Holbrook’s medal was donated to the Council of the Shire of Holbrook, New South Wales in 1982. This is where the name ‘submarine town’ comes from. Earlier this month, I interviewed Ms Humphries on Kandinsky’s artwork. She talked about the learning her class had done on Aborigines. Yes, but I’m not very good at it myself. What type of Aboriginla art are you doing? Do you enjoy looking at Aboriginal art? Very much. It is lovely to look at and quite easy, so I can do it, too! Have you done any Aboriginal art before? Yes, years ago as a teacher. Are you doing any other work about Aboriginals? Yes, we’ve done some traditional stories and we’ve looked at their history. We’re also going to make boomerangs. Do you enjoy Black History Week? Yes. It is very important and interesting. Are you looking forward to Friday’s assembly on Black History? Yes. I like seeing work from all the other classes. Are you personally interested in Aborigines? Yes, because they are very interesting people. I really enjoyed coming to Kandisnly class and watching the Y3 and Y4 pupils doing their art. Thank you. One of the best thing about being a headteacher is that I get invited to classes to see the high quality work from our pupils. During our Black History Week (held during the national Black History Month) I was invited to see the dances created by pupils in Zephaniah Class based on a traditional Dreamtime story. The Turtle man was out gathering food when he saw the lizard man’s wife named Oola and her three children digging yams. Wayamba decided he would like a wife and family, so he took them home. When Wayamba’s tribe saw what he had done they were very angry. They approached the Turtle man and said, “You are going to be punished for this.” and the Turtle man laughed. Early next morning he saw the fury of his tribe as they showered him with spears. Wayamba chose the two biggest shield that he had , one slung on his back and one on his front. As the spears came whizzing through the air, Wayamba drew his arms inside the shields and ducked his head down between them. Shower after shower of weapons they slung at him and they were getting closer so that his only chance to get away was to dive into the creek, and the tribe never saw him again. But in the water hole where he had dived, they saw a strange creature which had a plate fixed on it’s back. When they tried to catch the creature, it drew in it’s head and limbs. So they said, “It’s Wayamba.” And this was the beginning of Wayamba or Turtles, in the creek. The photos I took do not really do justice to their dances. What interested me most was that each dance was different but they were all based on the same story. It was fascinating to watch. I was really pleased to be invited!